Each year, more than 700 million people fall ill to mosquito-borne diseases such as malaria and dengue fever. One British company has developed a vaccine designed to protect against all of these diseases. It is being tested in a phase I study. The mosquito is still one of our more dangerous creatures. This is because its saliva, which it injects into the human blood, not only contains a variety of proteins which allow the insect to have its blood meal in the first place – sometimes dangerous pathogens also get into the human body this way. Looking at malaria alone, which is transmitted by the Anopheles mosquito, there are more than 200 million people who fall ill to it annually. Some 600,000 die each year. In addition to the unicellular malaria parasite, plasmodium, mosquitoes can also transmit arboviruses. This group of viruses includes among others the Zika virus, yellow fever and dengue virus. A vaccine named AGS-v, developed by the British pharmaceutical company SEEK, is said to be bringing immunity against all these diseases. 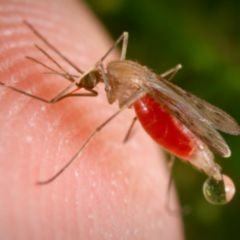 And the pharma firm is going one step further: mosquitoes that bite an immunised person will either die young or no longer be able to reproduce. What makes the SEEK vaccine so different? Normally, vaccines which are supposed to make humans immune to malaria and so forth contain attenuated or dead pathogens, proteins or fragments of nucleic acids. 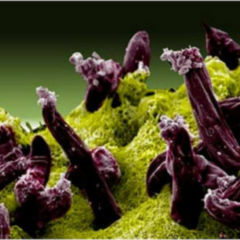 These are injected and cause the vaccinated person to become immune to the pathogen of a certain disease. However, vaccines against diseases transmitted by mosquitoes still do not have the required efficacy. The SEEK vaccine works differently: the saliva of the mosquito contains many different proteins. The functionality of each protein molecule has until now been unknown. These enable the insect to drink human blood by preventing blood clotting and modifying pain signals in their victim. The pharmaceutical company has now identified four proteins that are normally present in the salivary glands of the mosquitoes, and has manufactured these synthetically. If these are then administered to humans, the protein molecules cause a type of allergic response. As soon as an insect stings the person and injects its saliva into the human body, the immune system responds as if to an allergy – killing off the pathogens. The pharmaceutical company needed about ten years for the development of this vaccine. Now the company has launched along with the National Institute of Allergy and Infectious Disease (NIAID) [press release] a small phase I trial. The idea of developing a vaccine against the saliva of the mosquito is nothing new. Back in 2006, a review appeared in the journal Parasite Immunology [Paywall] studying immuno-modulatory factors in the saliva of the arthropod and examined their potential as novel targets for vaccines. Three years later, in 2009, American scientists presented their vaccination which contained antigens against the saliva of the sandfly in the journal PLOS Pathogens. 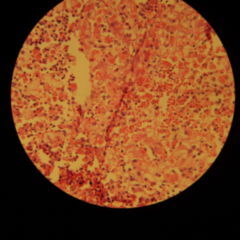 These parasites are significantly smaller than mosquitoes and can transfer diverse forms of leishmaniasis. When dogs were vaccinated with the vaccine, this stimulated lymphocytes, which then also killed off the pathogen Leishmania infantum. Yet vaccines against salivary proteins are not always effective. For example, in 2010 Vanderberg and a team from the New York University School of Medicine developed a vaccine using saliva from the mosquito. This was supposed to immunise mice against malaria, but scientists were not able to establish any influence on transmission and infectivity. A research group led by Carol Blair also developed a vaccine based on proteins from the mosquito’s saliva which was supposed to protect the mice from West Nile fever – but this vaccine resulted in the pathogenicity of the virus increasing. One reason for this could be, according to Clive McKimmie from the University of Leeds, that the inflammatory process increased in the skin and thus the disease was made worse. The researchers studied the Semliki Forest virus, a relative of Chikungunya virus, and found that it is much more dangerous when it enters the organism with the insect saliva. The reason for this is that the saliva stimulates a specific immune response in which macrophages hasten to the puncture site, he says. 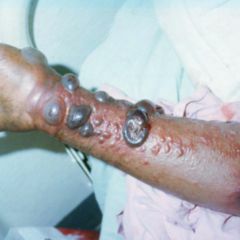 These are then infected by the virus and thus reach the rest of the organism. These problems appear not to be caused by the SEEK vaccine though. This vaccine has already been tested in various animal experiments on mice, rats and dogs. The results have, according to SEEK CEO Gregory Stoloff, been promising. However, the studies have not been published. Nevertheless, the tests have apparently been enough to satisfy the requirements of the NIAID in order to start a clinical trial involving 60 participants. These subjects are each allocated to one of three groups. Each participant receives two injections at an interval of 21 days – the placebo group sterile water, the AGS-v-group receives the SEEK vaccine, and the third group will be administered the vaccine with an adjuvant. This adjuvant is an oil or water mixture which is commonly used in vaccines, so as to enhance the immune response. Neither the researchers nor the participants know who belongs to which group. Between vaccinations and twice after the second vaccination, the participants’ blood will be collected and assayed for antibodies. In addition, the volunteers will be exposed to the bites of about five to ten mosquitoes named Aedes aegypti. These mosquitoes are then to be observed in order to determine whether their life cycle alters. 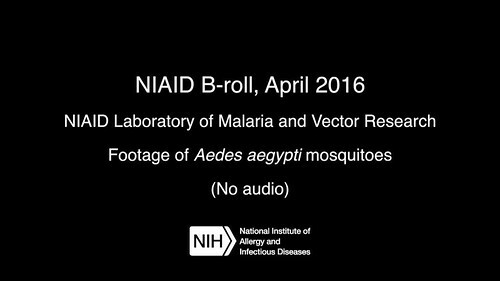 “Mosquitoes cause more human disease and death than any other creature”, says Anthony Fauci, director of NIAID. “A single vaccine that protects against all mosquito-borne diseases is a new concept that – should it prove to be a success – would be a huge step forward in public health”. However, in the curren phase I trial only the safety of the active substances and the immune response will be assessed to begin with. It is envisaged that the study will be underway before summer 2018. And only if the results are promising will more studies on efficacy follow. It remains an open question when and if ever the SEEK vaccine gets approved.